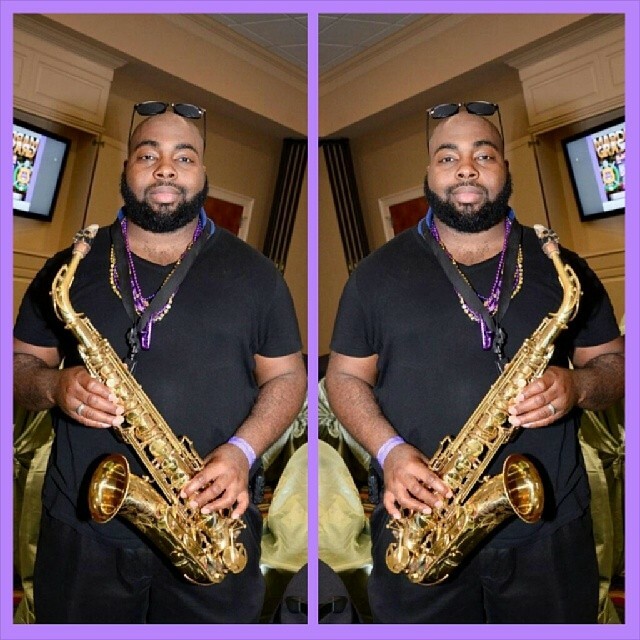 Your Friendly Neighborhood Bearded Sax Man! Mr. Harvey was very easy to communicate with and went above and beyond to help make our day magical. Thank you, sir! Mr. Harvey exceeded our expectations in every way. Not only is he an amazing sax player but he very considerate, well mannered, easy to get along with and an all around good guy to be around. Highly recommend! THANK YOU JASON! I THROUGHLY ENJOYED MYSELF BEST WISHES TO YOU BOTH! C. Harvey & Jazz Band are among the Best of the Best! Their professionalism and sweet spirit won us all over. They arrived before their scheduled time and were in place to provide pre-event musical selections. Their choice of songs were carefully chosen which allowed the perfect ensemble of music to be played throughout the event. They were very obedient to what was asked of them and we couldn't have been more pleased. C. Harvey & Jazz Band are highly recommended for any event, but those in need of a group to play at a church related function will find that they are anointed to flow as the Spirit leads them. Excellent Job!!! I attended a wedding of a really good friend and experienced the sweet & soothing melody of Mr. Harvey's sax! Awesome! A girls wedding day is a big deal and his professionalism made her ceremony even more special! I will definitely recommend him for any event! November 2014 I hosted a 90th birthday celebration for my grandmother and Christopher Harvey was the main event! My guest had the distinct pleasure of listening to the soulful sound of C.Harvey, a solo saxophonist. Christopher was very professional throughout the planning phase as well as during the event. All emails and phone calls were answered promptly and all request honored. He even took time to visit the venue prior to the event so he knew where to set up for the best acoustics. I was truly impressed to see him arrive 1hr prior to the event. He went above and beyond, complimenting other musical guest with this talent. He was able to blend his own style and sound with a guest band flawlessly. Please note Chris did played along side the band without ever practicing with them. My guests are still raving about Christopher's performance. I would highly recommend Mr.Harvey without reservation for any event. His years of experience qualify him above measure. Mr. Harvey preformed for my wedding ceremony and did an exceptional job. He was punctual and poised even in the midst of chaos. I am glad to have had an opportunity to book him. The music, matter of fact the soul you put into the music is phenomenal, you can feel the heart in the sax..
Mr. Harvey is an excellent musician!! Since I have a love for music, it was nice to hear something soothing and live!! I am definitely recommending him to my friends and family!! Thank you again for being so respectful and amazing!!!! Great Musician. Love the flow and adaptability. Outgoing performer. Very professional and very talented! He can play anything you ask! C. Harvey has been playing as long as I can remmeber, participating in band abs sharing his musical talents with his church family. Very professional and great personality. Outstanding.The best Sax Players I have heard in along time. 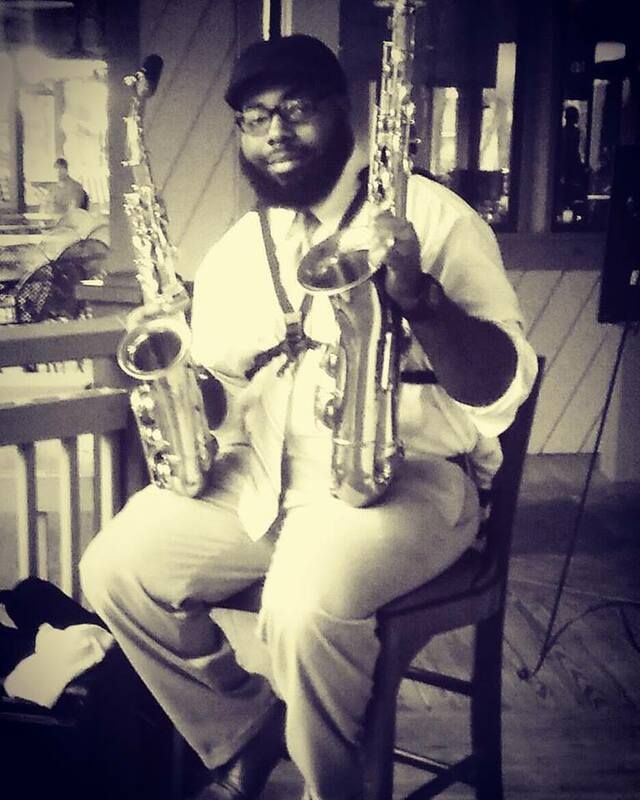 Me and my husband asked Mr. Harvey to play saxophone at our wedding in 2013. He was on time, precise, and made our day that much special. He is a great person, professional and a hwck of a musician i would recommend him to anyone annd would definitely use him again. -I'm very easy going, and flexible and more than willing to accommodate any needs! -Need me to learn a song on short notice? .......DONE!!!! -I play by ear which gives me a slight edge over many musicians! Born in the heart of Georgia in the city of Macon, "Where Soul Lives!" 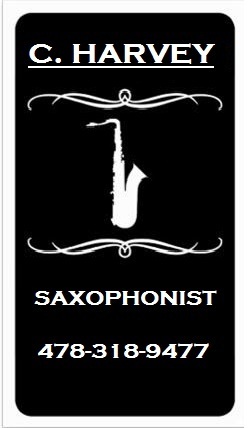 I've been playing sax for over 18+ years!